Will Bruzzo's Blog: Is Gang Injunction Too Broad? Is Gang Injunction Too Broad? A legal battle is under way over gang injunctions in Los Angeles. One attorney is taking the matter to federal court in a lawsuit against the broad terms of curfews imposed by the injunction. The argument is that the wording is too general and fails to specifically explain the aspects of the curfew. A past appellate court ruling decided that the term “outside” was too vague and more details were needed in order to define how someone would be in violation of the injunction. That ruling was ruled on an injunction for an Oxnard gang. 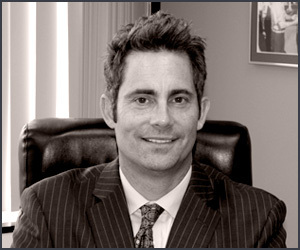 The attorney for the current lawsuit, Olu Orange, states that because of the similarity in wording between the Oxnard injunction and 21 current LA injunctions, the latter injunctions violate a person’s due process rights. The injunctions serve as a method of limiting gang member’s activity. For example, known gang members are not allowed to carry weapons or socialize with each other. The curfew aspect of the injunctions bars a known gang member from being outside after 10 p.m. The case of a teenager being arrested for violating that curfew is what sparked the lawsuit. The teenager was included in the injunction because his older brother had links to known gang members. The younger brother does not belong to any gang according to the attorney. The boy was playing at the handball courts in the projects where he lives when he was arrested for violating curfew. See Penal Code Section 182.66.